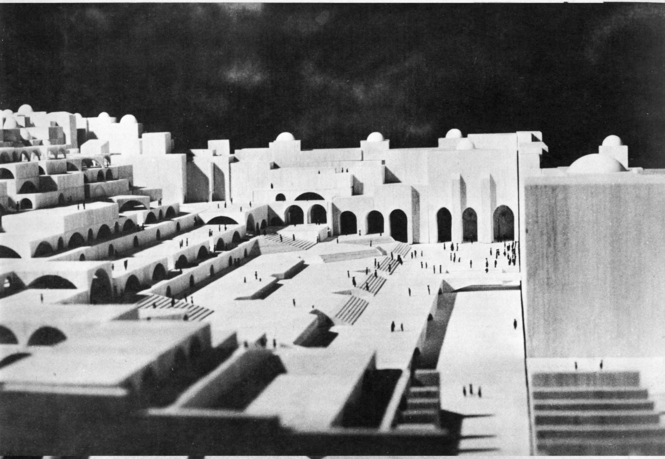 Moshe Safdie, Western Wall Plaza proposal, model, 1973. Courtesy of Jerusalem Municipal Archive. After seizing Jerusalem’s eastern precincts from Jordan at the conclusion of the Six-Day War in 1967, Israel unilaterally unified the city and plunged into an ambitious building program, eager to transform the very meaning of one of the world’s most emotionally charged urban spaces. 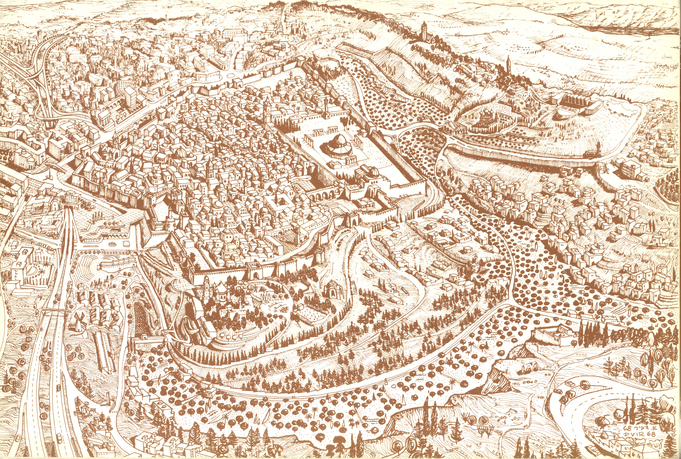 The goal was as simple as it was controversial: to both Judaize and modernize Jerusalem. 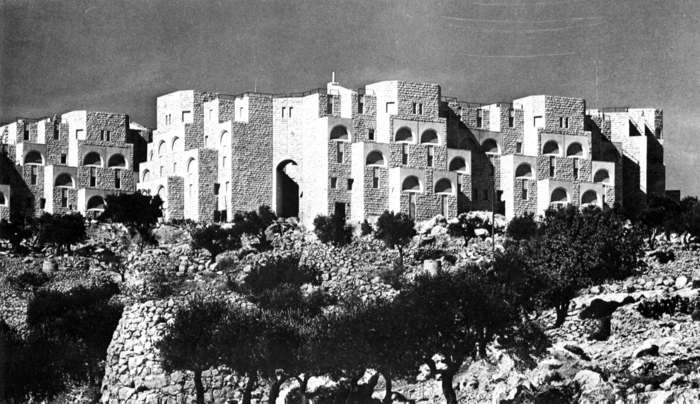 Seizing Jerusalem chronicles how numerous disciplines, including architecture, landscape design, and urban planning, as well as everyone from municipal politicians to state bureaucrats, from Israeli-born architects to international luminaries such as Louis Kahn, Buckminster Fuller, and Bruno Zevi, competed to create Jerusalem’s new image. This decade-long competition happened with the Palestinian residents still living in the city, even as the new image was inspired by the city’s Arab legacy. 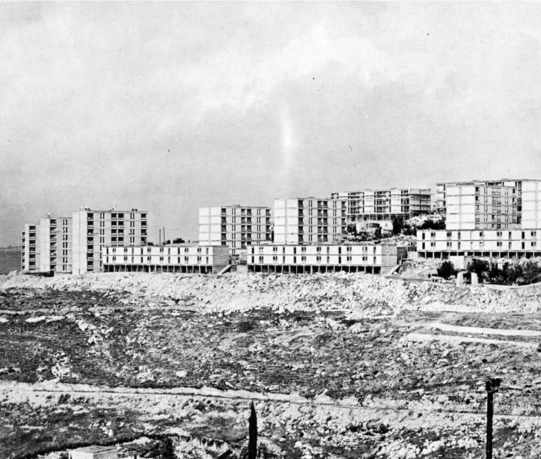 The politics of space in the Holy City, still contested today, were shaped in this post-1967 decade not only by the legacy of the war and the politics of dispossession, but curiously also by emerging trends in postwar architectural culture. Alona Nitzan-Shiftan is associate professor at the Technion, Israel Institute of Technology, where she chairs the Architecture Program and heads the Architectural Heritage Research Center. She received her PhD from MIT, and her work was sponsored by CASVA, the Getty/ UCLA Program, the Israel Science Foundation, and the Frankel Institute at the University of Michigan. Her research on Erich Mendelsohn, I. M. Pei, "United Jerusalem," "Whitened Tel Aviv," historiography, and heritage has been published in journals such as Theory and Criticism, the Journal of Architecture, Architectural History, Perspecta, and TDSR, as well as in numerous anthologies. She is the elected president of the European Architectural History Network (EAHN), and has served on the board of directors for the Society of Architectural Historians (SAH) and the Association for the Study of Traditional Environments (IASTE). Besides her manuscript on Jerusalem, she has also authored a volume on Israel for the Modern Architectures in History series, published by Reaktion Books.